Hernandez Brothers Professional Landscape is your one source for professional hardscape design and hardscape installation services in the Rockford Illinois and surrounding areas. Hardscapes, or non-living elements of your outdoor space, provide important finishing details to your landscape. A walkway can delineate and complete your flowerbeds and lawn; a patio offers a space for relaxing and grilling. These elements offer both aesthetic and functional appeal to your outdoor living rooms. Garden walls and seat walls can reclaim more usable property and help with drainage issues. Our skilled and certified installers have many years of installation experience, and our designers can help you determine where and how to plan for hardscapes. 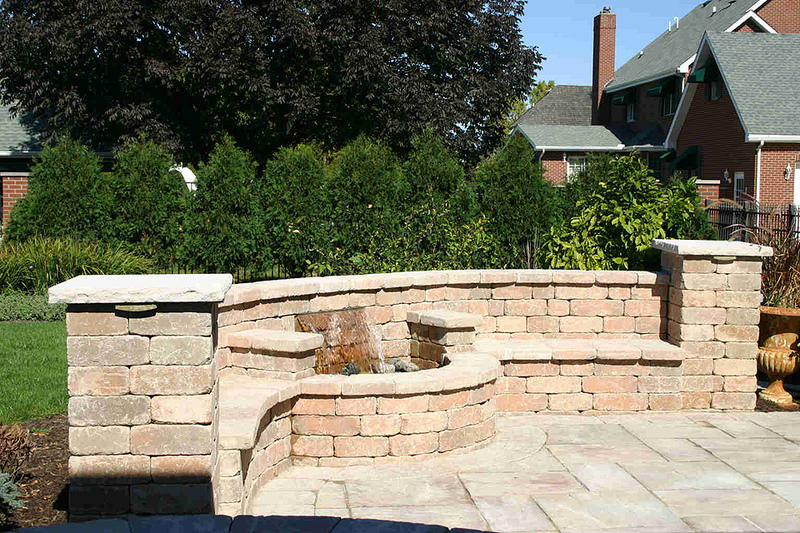 Seat walls make your patio and outdoor living areas more functional. Paver driveways, paver walkways, paver patios, seat walls and garden walls are all major components of the outdoor landscape. The design and material selection of these elements is extremely important in creating welcoming and harmonious environments. Hernandez Brothers Professional Landscape has all of your hardscape needs covered.